The SOVERON® AR from Rohde & Schwarz brings the latest generation of software defined airborne radios and network-capable waveforms to the skies. 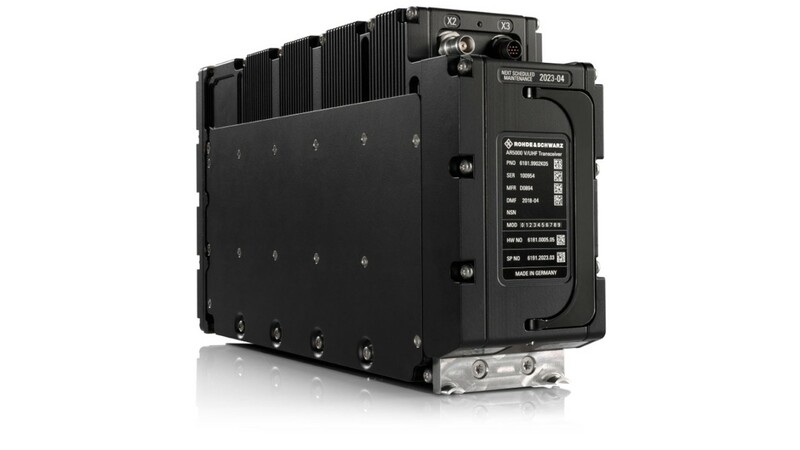 The SOVERON® AR offers wideband and secure voice and data communications for network centric operations. Thanks to the radio's innovative technology, users can achieve information superiority during operations. 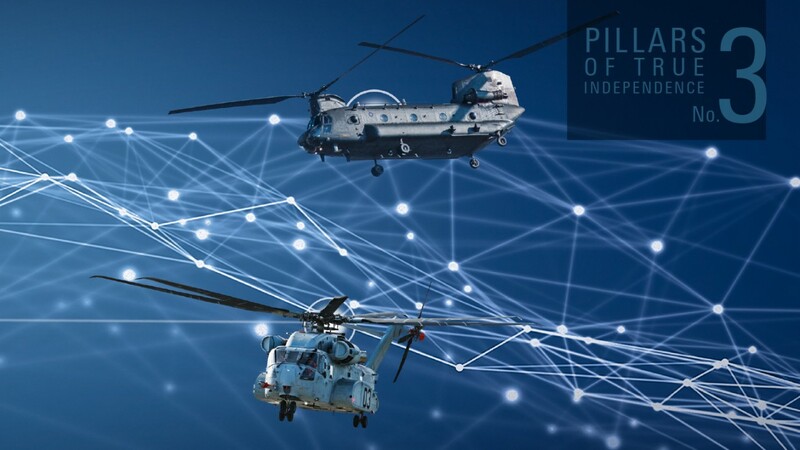 Features include simultaneous voice and data transmission in wideband operation, superior frequency hopping procedures, highly secure encryption algorithms and radiocommunications networks that adapt to topological conditions, and the mobility required for operations (mobile ad hoc networking). Rohde & Schwarz is the only provider to meet the civil aviation certification requirements of the European Aviation Safety Agency (EASA). 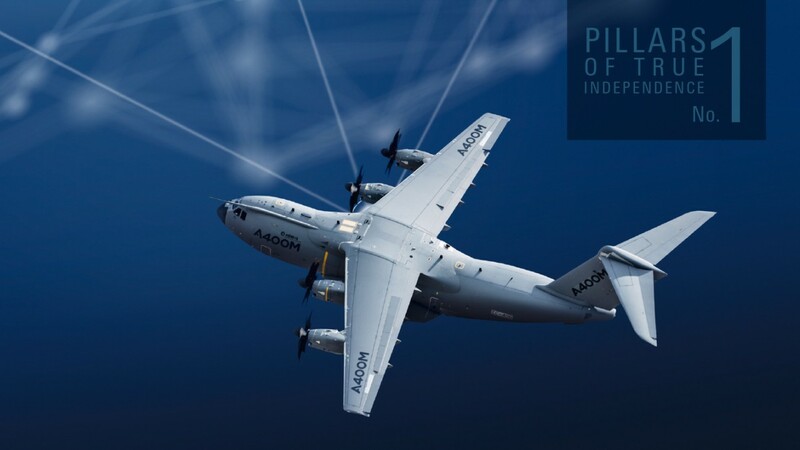 Military aircraft can only be certified and operated without restrictions when they fulfill both military and civil requirements. Rohde & Schwarz has developed a family of network capable, wideband waveforms to handle diverse mission requirements. The SOVERON® WAVE series transmits up to two voice channels and data in parallel at high speed and with different priorities. Users can select the waveform that best matches their requirements regarding range, data rate and jamming immunity. As a modern, software defined radio, the SOVERON® AR offers even more flexibility through the ability to port waveforms independently of the manufacturer. Based on the international Software Communications Architecture (SCA) standard, the SOVERON® AR was implemented as an open platform with a strict separation between the radio platform and the software, i.e. the waveform. This allows SCA-based waveforms from other manufacturers as well as from existing waveforms to be ported to the radio, thereby providing both future investment protection and backwards compatibility with established radio systems. Customers can develop and modify the integrated encryption as well as the waveforms. Software defined airborne radios from Rohde & Schwarz are in operation around the world and feature high reliability even under extreme environmental conditions. More than 7000 radios have been delivered for jets, propeller aircraft, helicopters and unmanned aerial vehicles. This year the success story continues – the new SOVERON® AR is ready to fly. 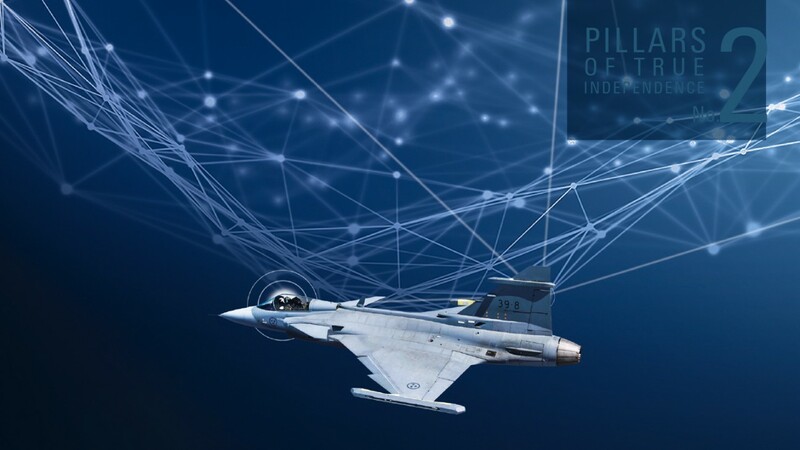 Since airspace worldwide is used largely for civil purposes, military aircraft must also meet civil standards in order to pass this airspace without restrictions.The SOVERON® AR can be used as a primary ATC radio. 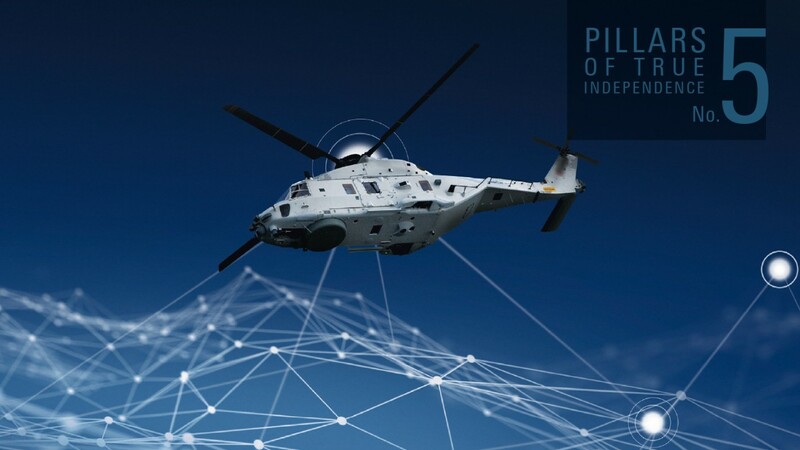 It is the only software defined airborne radio on the market that also meets civil safety avionic standards, providing full independence for unrestricted joint civil-military operations. An essential part of the airborne radio development process is the continuous and intensive exchange of expertise with industrial partners to eliminate platform integration risks. Like no other radio, the SOVERON® AR was designed to ease the integration effort. It goes without saying that the radio has been qualified in accordance with MIL-STD-704F, MIL-STD-810F and MIL-STD-461F to minimize additional platform-specific qualification. Rohde & Schwarz offers state-of-the-art wideband waveforms to achieve information superiority. The application ranges from pure voice to high-speed tactical data covering all scenarios of airborne platforms. The waveforms permit reliable and secure communications in a fast-moving, harsh environment. Fast frequency hopping, advanced encryption technologies, simultaneous voice and data transmission and an embedded mobile ad hoc networking (MANET) capability are just a few examples of a superior technology. Based on the internationally accepted standard SCA, the strict separation between the radio platform and the waveform application allows customers to fully modify this part of the radio in line with national requirements. Developing an indigenous national waveform including the crypto algorithm gives customers true independence. During the initial phase, Rohde & Schwarz will train and support the customer, even in-country, until full autonomy is achieved. 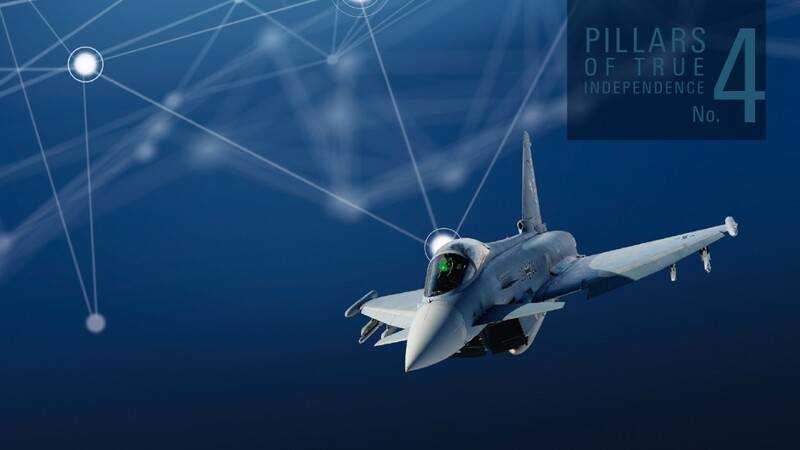 Founded more than 80 years ago, Rohde & Schwarz is one of the world‘s leading manufacturers of information and communications technology for the armed forces. Rohde & Schwarz can plan in the long run without having to think in terms of quarters. The resulting entrepreneurial freedom allows us to orient all our business processes toward sustainability, from product planning and employee loyalty to a trusting partnership with our customers. Rohde & Schwarz is the only leading manufacturer of software defined radios who is completely independent.